By Issie Lapowsky, for Inc. The agency put out a call for technology to help stem a looming global food crisis. Innovative entrepreneurs got right to work. 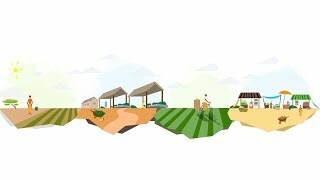 That was the title of the United Nation’s annual Trade and Environment Review this year, which urged governments to start paying attention to the plight of small farmers and “make agriculture sustainable now for food security in a changing climate.” In other words, an ugly global food crisis is brewing. To stem the looming problem, the U.S. Agency for International Development, or USAID, has identified promising startups that can help. On Wednesday, the agency announced the winners of its Powering Agriculture Grand Challenge at an event in Washington, D.C. 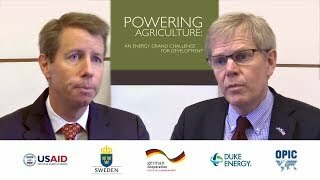 The challenge called for businesses, non-profits, and universities, alike, to come up with clean energy solutions for farmers in the developing world. The 12 winners received a total of $13 million in grants. Here are five of the for-profit startups proving that what’s good for the world can be good for business, too. African Bamboo: Based in Addis Ababa, African Bamboo has developed an environmentally friendly thermal process for treating bamboo, called ThermoWood. ThermoWood eliminates signs of decay, making the bamboo, an abundant resource in Ethiopia, a more reliable commodity for farmers to sell. The goal is to make bamboo, which is now vastly underutilized in Ethiopia, a cash crop for the country’s farmers. Motivo Engineering: Motivo’s prize-winning product is quite the mouthful. The Hybrid Agriculture/Road Vehicles with Electricity Storage and Transformation (call it HARVEST, for short) provides electricity storage and transformation units that can connect to clean energy sources like solar panels, wind turbines, water turbines, and formal electricity grids to dramatically increase agricultural productivity. Promethean Power Systems: The company (which Inc. has covered in the past) has designed a thermal energy battery pack, which fully charges on solar power or a few hours of grid electricity to provide consistent refrigerated storage without access to electricity. SunDanzer: Here’s another big acronym for you. Sundanzer’s Sustainable Milk for Africa through Refrigeration Technology (let’s call it SMART), is a solar-powered refrigerator that chills milk from farms immediately and keeps it cold while it’s en route to milk collection centers, before it is shipped to dairy processors. That keeps farmers’ milk fresh for sale. Eco Consult: Eco Consult has developed an integrated model of hydroponic and solar-powered farming that uses dramatically less water than conventional farming. Eco Consult will retrofit large greenhouses as well as small farms with this new technology to help farmers reduce water use and costs.